Every year every F1 magazine, paper and website is full of pundits giving their predictions on the Formula 1 season ahead. They’re all at it; Drivers, Commentators, Journalists, TV Presenters – even Georgie Thompson had a go last year. We at Badger GP aren’t ones to miss this bandwagon when it rolls past each and every year, so we asked our resident Sett dwellers what they thought the season would hold in store. 1. Who will win the Drivers’ Title? Nick Bean (NB) – Button. Lewis should have won the title in 2012, but poor strategy and mechanical mistakes meant he didn’t. Button is now #1 and tends to do better as a team leader. That being said, Vettel and Red Bull look very strong. Eddi Hütchïnkkönen (EH) – Vettel. Everyone is still playing catch up with Adrian Newey, and with so few changes in the regs going into this season, I think we’ll see the teams in similar order to last year. If McLaren can address its reliability problems then Jenson has a shout, but I still think they will struggle against Red Bull over the course of the whole season. Craig Normansell (CN) – Alonso. Despite missing the first test, he’s apparently been training like he’s going to take on Rocky, which means he’s only been improving himself. As long as Ferrari get it right, my money is 100% on the Spaniard. Emma Bracegirdle (EB) – Button. If the car doesn’t let him down and everything’s to his liking, then he’s a match for the likes of Vettel. A big ‘if’ though, especially on the second point. And Vettel and Alonso can never be ruled out. Rachel Clarke (RC) – Vettel. I’d love Button to take this, or Alonso, but from what I’ve seen, then Red Bull are on to take the title again. Chris Kirk (CK) – Alonso. He somehow took it right to the wire in a very average Ferrari last season. 2013 is looking better already and if he can keep up the same momentum he might finally get that title in a red car. 2. Who will win the Constructor’s Title? NB – Red Bull. Whilst McLaren, Ferrari and Lotus all have good #1 drivers, nobody is a good a #2 as Webber. Consistency is key. EH – Red Bull. Until we see how Perez gets on in the first few races McLaren are a bit of an unknown quantity for next season. Of the chasing pack I don’t think any of them (bar perhaps a massive improvement in the car from Ferrari) have the chance to overhaul Red Bull just yet. CN – Red Bull. Even when Mark Webber is off form, he still gets the car home in the big points positions. I can’t see any other driver pairing bringing home better results than Mark and Seb throughout 2013. EB – Red Bull. The talent and experience of both drivers combined are just too good of a points-scoring pair, and I think Perez will make too many mistakes to bring in consistent points for McLaren. CK – Red Bull. With Perez being the new guy in a Mclaren and Massa being, erm, Massa in a Ferrari, it would be hard to come to any other conclusion. Theirs for the taking. 3. Will Lewis win a race? NB – Yes. One with long straights. Probably China, Canada or Monza. Maybe even Australia. EH – Yep, he’s a good racer and has something to prove, as do Mercedes. The early reports on the new Mercedes seem interesting and promising. If the new car tests well I think that they might just do better than everyone is expecting this year. EB – No, but he’ll come very close. There’s no doubt that Lewis is very talented, but it’ll depend on how the Merc ends up performing. They’ve looked quick in testing, but we haven’t seen their speed compared to the other teams yet, and I think they’ll still be lacking a little something to reach the top step of the podium. RC – Yes. The Merc looked good in testing and Lewis just races hard. CK – Yes. China. Merc’s joker track for some reason based on previous years’ form. 4. Will Caterham or Marussia score points? NB – No. Both teams have good cars, but the midfield is so strong, it’s hard to see where they can make an impact unless there is a crazy race. EH – I hope so, there is always going to be a few races in the year where something crazy happens, be it due to accidents, weather or Roman Grosjean. CN – I think so. Marussia have now got KERS, and they managed to hang with Caterham without it for much of the season. It’s going to take rain and some luck, but one, of not both, will do it this term. EB – No, unless we end up having quite a few retirements in a race. They are catching up, but they’ve still got a sizeable gap to make up if they want to get close to the likes of Toro Rosso and Williams. 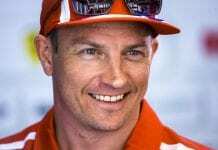 CK – With Pat Symonds back in the paddock with Marussia, I can see them beating Caterham, but I still think points are out of the question for either of them, unless we have a very wild Grand Prix one weekend. 5. Will Romain Grosjean be a changed man? NB – No. He’s fast, but erratic. If his head drops and Kimi gets the upper hand, you have to worry about his future at the team. EH – Maybe, but probably not in a good way. He seemed almost scared to drive the car towards the end of last season. At the end of the day he is a quick driver and with the Schu gone we need someone to randomly crash into people. CN – He will, and not for the better. Too much criticism went Romain’s way last season, especially after Japan, and it will have a negative impact on him somewhere. If he irons out the kinks with his mistakes, it may just blunt the speed that put him on the map in the first place. EB – Yes, but he won’t be as quick because of it. All the bashing really got to him last year and I think he’ll be lacking a bit in self-confidence, ending up in him being over-cautious. RC – it’ll all depend on how he manages in first race. A good one, with no mistakes, he should be set for season. A bad one, especially with a first corner issue, will just make the whole season a mess. We want to know your thoughts on the 2013 season – tell us what you think in the comments below! Hanging Up Their Boots: Fernando and Jenson’s Banter On F1 Retirement! #BadgerAsksZak – Zak Brown answers your questions!